Lester Piggott is nothing short of an icon of the sport of racing. Specialising in flat racing he amassed close to 4500 wins over the course of his career and won all that there is to win. With two wins in the 1000 Guineas, five in the 2000 Guineas, nine in the Epsom Derby, six in the Epsom Oaks and eight in the St Leger his dominance of the British Classics clearly is not in question. Piggott came from a family with deep links to racing that can be traced back hundreds of years. His Grandfather owned a racehorse stable and himself rode three Grand National winners in his time, and in fact several members of Piggott’s family have serious racing pedigree. 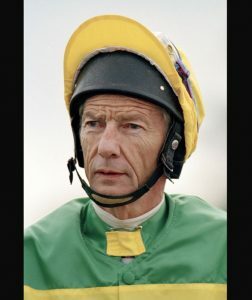 It wasn’t so much ‘when’ Lester Piggott was introduced to racing, and instead more that it was an ever present part of life. Lester Piggott was a quick learner, he won his first race at just 12 years of age after learning the ropes at his Father’s stable. He first won the Derby in his teens and in started to rack up the wins for trainer Noel Murless, then later Vincent O’Brien. A trend that would continue for many years. A real personality in racing Piggott retired as a jockey in 1985 and decided to become a horse trainer. This venture however was rather short lived due to tax issues resulting in a year long jail term. Despite these issues he’s still a much loved individual for racinf fans in the UK and beyond, and is still going strong at the ripe old age of 82. Grand National Jockeys: Who Could Triumph in 2019?